Albarcas are wooden shoes worn by ranchers and villagers throughout Cantabria to keep up out of the mud, snow and yes, cow poop. When they are not out and about tending to the cows or running an errand at the local village store or having a “blanco” (barrel white wine generally consumed before lunch in Cantabria ), village folk leave their albarcas by the door ready to be stepped into, like in those in the photo above outside a door in the hamlet of Cicera. 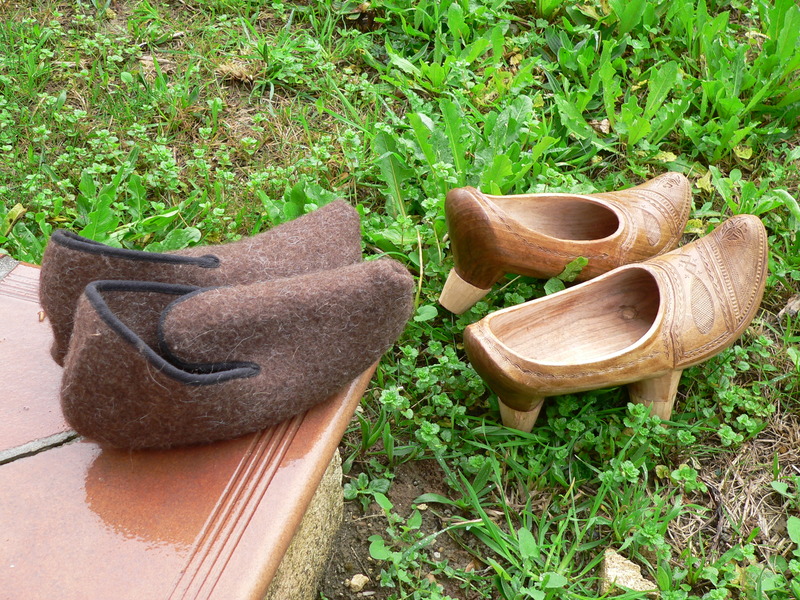 They generally wear escarpines (wool slippers) or plain house slippers to keep warm and make them comfortable. 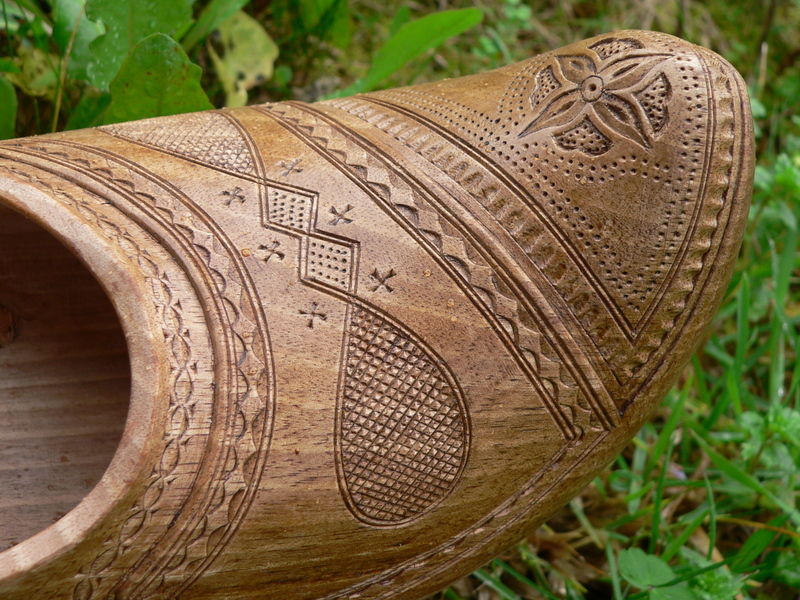 Albarcas are carved by hand from a single block of wood, generally from beech, birch or walnut. They have mini stilts on the bottom called “tarugos” that can be replaced when they get worn or damaged and a pointed toe to keep unwanted stuff (snow, mud, cow poop) out of the shoe as you walk. Designs and colors vary depending on the owner. For example priests and widows tend to wear black ones. They generally have more or less intricate designs carved especially on the front part (know as la capilla, the chapel literally, where your toes are). 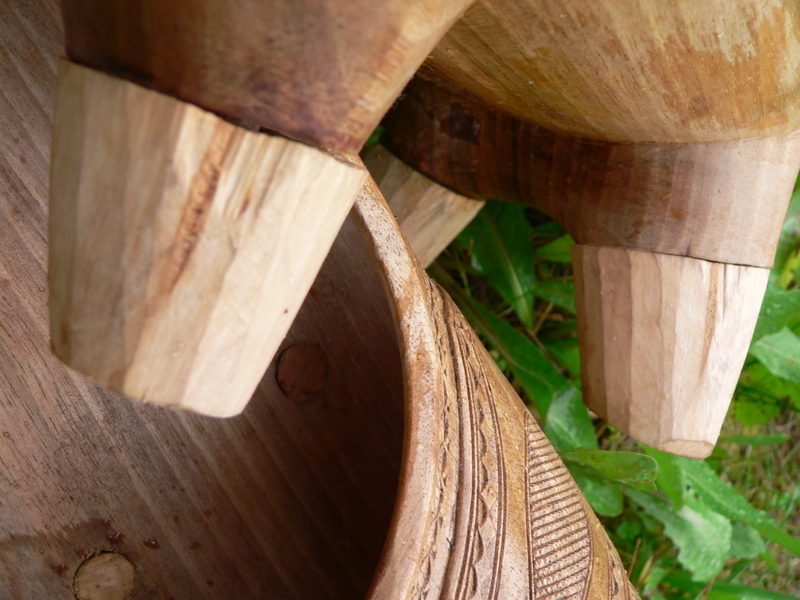 Here is a shot of the detail of my albarcas. I am from Asturias. 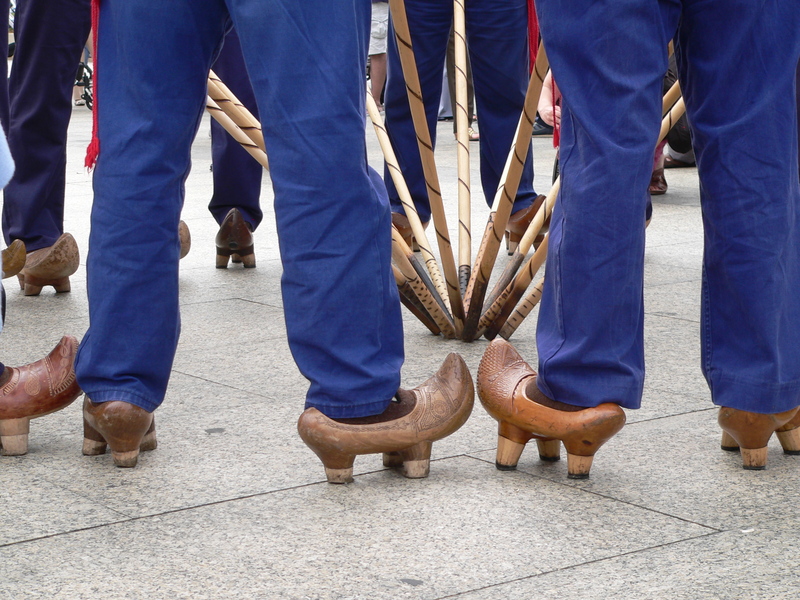 Right next to cantabria, people in the villages from Asturias and Galicia (the region next to asturias) also have those wooden shoes, we call them “zuecos” in here. My grandparents were from the province of Lugo. They settled in Trascastro, Lancara, after they were married. There they are called Zuecas. 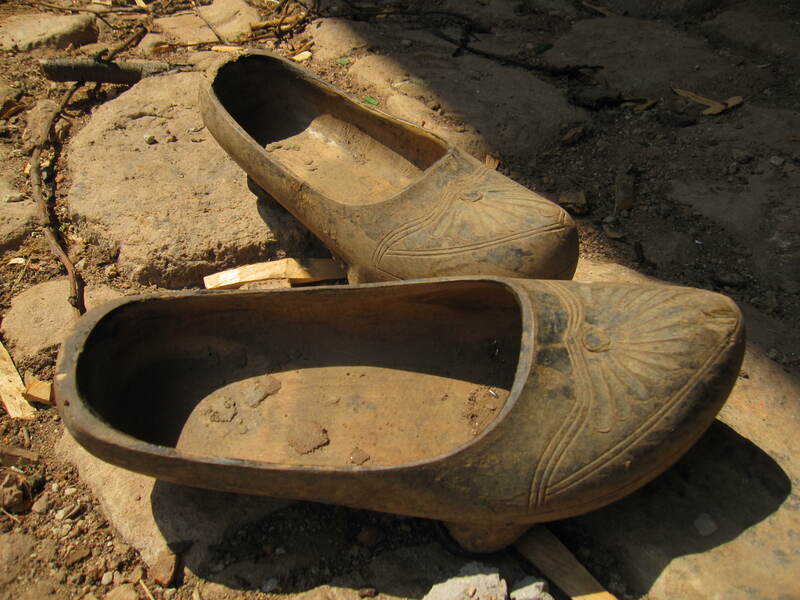 Zuecos are shoes made with wooden soles, but with leather boot-style sides. I would love to have a pair of Zuecas.